Welcome to ILPA’s Board of Advisors. Together we manage, develop and we implement new ideas and proven concepts into the ILPA community. We welcome your input too. Please send us your ideas via the association contact form. We promise you we’ll look at it and consider your suggestions. Together we will strive to continue improving ILPA over time to serve you better. 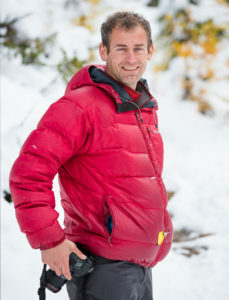 Brian Merry has been based in Canadian Rockies since 1996. He moved to Banff after completing a BSc. with honours in biology from Acadia University. He has held various wildlife biology contract positions over the years in Nova Scotia and in Western Canada. He’s worked for organizations including Parks Canada, the Nova Scotia Department of Natural Resources and Ducks Unlimited’s research division, the Institute for Wetlands and Waterfowl Research. 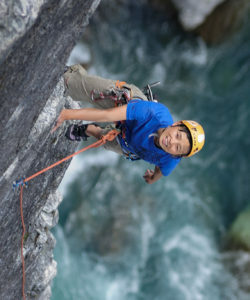 Brian has climbed extensively throughout the Canadian Rockies summiting some the highest mountains in the range. Just a few of the local mountains he’s climbed include Mount Robson, the highest mountain in the Canadian Rockies, and Mount Columbia which is the highest mountain in Alberta. He’s also climbed much higher mountains around the world on 5 international high altitude expeditions, organizing and leading three of them. He’s climbed over 6000m three times including a successful summit of Mount McKinley in Alaska, North America’s highest mountain. Brian has been a pro photographer since 1997 and he’s an accredited member of the Professional Photographers of Canada. 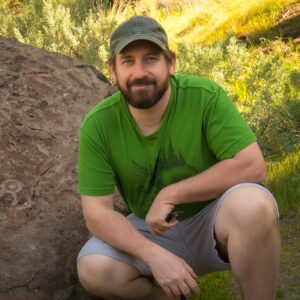 He specializes in landscape photography with a seasonal addiction to bear and elk photography in the Spring and Fall. Brian’s been leading landscape photography workshops and tours in the Canadian Rockies, across the country in Cape Breton and around the world in Japan since 2007. He continues to bring photographers to some of the most beautiful places in the world using the successful leadership model he developed leading climbing expeditions photography and photography tours both locally and around the world for nearly 20 years. Rich has been a professional nature photographer for over two decades. Most of his career has been spent near the Florida Everglades. The last five years has seen him calling Kent, Washington his home, located in metro Seattle, Washington. He runs a very busy studio in Seattle and still spends a large portion of his time photographing out in the field. He recently completed an 2 month photography tour down along the United States West Coast and throughout the American Desert Southwest. During this recent road trip he visited some of the most iconic landscape photography locations America has to offer, as well as a few lesser known gems along the way! Aside from his busy photography business Rich is a loving husband and father. To view Rich’s work please visit his website and follow him on his social media channels. If you google adventure in Japanese, Kazue’s picture will pop up next to the description. Kazue came to Canada in the early 2000s “simply” to ride a motorcycle across Canada. After arriving in Vancouver she went to a local motor cycle shop in Squamish, BC and bought the cheapest used motor cycle she could find. The shop owner, in good conscious, was worried about selling a used motorcycle to a young Japanese woman when he learn of her plan to ride it across the continent. Before he sold it to her he insisted that they ride together to Whistler, BC so he could be sure she was able to drive adequately on Canadian roads. He couldn’t sell her the motorcycle without being sure that she was up for the very long ride first. After the ride, and the shop owner’s approval, she bought the bike and a small repair kit at the local Canadian Tire store. Then she put her backpack on and promptly rode across Canada fixing the bike on the side of the road numerous times along the way. What she discovered was that Canadians were extremely friendly and practically fell over each other trying to help her out during the numerous occasions when her bike broke down during her trip. During her trip she also discovered her new home, Banff, AB. Kazue and Brian met and got to know each other while climbing numerous mountains and ice climbs in 2008-9 and married shortly afterwards. Since then Kazue has become an important part of the organization bringing her critical eye to the development of the photography business she owns with Brian, and to ILPA’s development too. Her voice on the board regarding the planning and creative growth of ILPA is valuable, and her opinion carries a lot weight in the decision making process. David has been an active member of the Canadian Rockies landscape photography scene for many years. 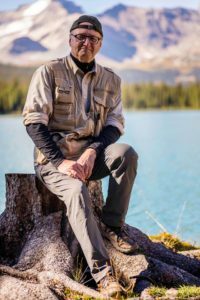 He enjoys the creative outlet of landscape photography often citing that it helps to bring balance to his very full life, which includes his position as the Dean of Bow Valley’s College’s School of Business. David reviews, advises and votes on the strategic direction of ILPA. David brings decades of business leadership experience to the board which he uses to review and advise on the strategic planning, growth and the implementation of the board’s initiatives. David also enjoys photography because it helps him to get out hiking and shooting in the mountains! In the 36 years Mark has been a photographer he has explored many unusual corners of the industry. Since Mark is an admirably humble man, his very significant accomplishments do not often in conversation except during interactions with clients whae they are trying to decide if Mark is suitable to be their personal photographer. Mark has published 3 books as well as a few limited edition art books. One of Mark’s most publically notable achievements is HAVING images sent to outer space on the voyager 3 space mission. His photography has also been awarded many times. Mark has won several trophies for nature, animal and landscape photography from several different notable organizations. Mark is an accomplished professional photographer in many different genres of photography. His multi-award winning photo-artistic images have been honoured provincially, national and international. The driving force behind his business is to empower the women he photographs through the absolutely beautiful and artistic photographs he creates with them, revealing their heart and soul. Mark is world-renown for his art and been honoured many times with awards. A few of them include the Yousuf Karsh Lifetime Achievement and two fellowships from the Professional Photographers of Canada and the multiple awards from Society of Wedding and Portrait Photographers. Mark has also earned the elite Master Photographer degree, the title of “Master of Photographic Arts” 10th bar, and 4 International Photographer of the Year Awards. He has also been named the SWPP International Photographer of the Year TWICE. Mark’s decades of professional photography business experience at multiple levels, and his decades of involvement with the governance of the PPOC, have also given him tremendous wisdom and insight into the business side of the artistic photography industry. His experience, advice and critical eye are a welcome addition to the ILPA Board of Advisors. Makayla is a social media professional leading the social media programs for strong businesses in Atlantic Canada and and across the country for ILPA. Makayla is a graduated from Saint Mary’s University with a Bachelor of Commerce and leads the prosperous social media department for Geebo Device Repair. Makayla has a passion for social connectivity and brings that passion and wisdon to ILPA’s board and advising on social media and corporate relationships.